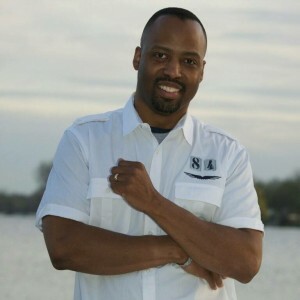 On Pause With Bill Moss, Jr.
GOSPELflava caught up with Bill Moss, Jr. to talk for a minute about his upcoming recording, his famous family and heritage and the work he does at Moss Academy of Music. BMJ: Well, you are right, I am from a family of musicians. My parents, Bill and Essie Moss traveled the country singing as part of Dad’s group, the Celestials. My brother is J. Moss (no explanation needed). My aunt, Dr. Mattie Moss Clark, reared one of the greatest gospel acts in Gospel music today, The Clark Sisters. Then there is the next generation with Kierra and J. Drew, so as you can see, there was a whole household of music makers. Since we were always surrounded by music, music kinda came naturally. I can remember when I was 5 years old, Dad and his group were on the stage singing their hit, Already Been to the Water one evening and Dad jumped off the piano, and I just got on and began to play, I didn’t have a clue, hadn’t had a lesson and Dad hadn’t showed me anything so he was standing there in amazement and the audience was astonished; that was my first public performance. Dad seized the opportunity to start me in piano lessons, and shortly thereafter my brother J came along. Soon the Moss Brothers singing group came to fruition. J didn’t stick with piano very long, as he developed it became very obvious that he was gifted in the area of production and songwriting, and of course he is an amazing vocalist. I continued my studies through high school and went to college and got a degree in music. Everything that I learned I shared with my brother, that just added to his depth . BMJ: I am honored to serve as Worship Pastor at the Third New Hope Baptist Church where Dr. EL Branch is our Senior Pastor. It is our desire to capture the energy of the worship that we experience on Sunday morning, thus, the Songbook of Praise and Worship came to be. We are doing about 7 or 8 covers and I have written about 5 or 6 songs, our intention is to get everybody singing and present to the world praise and worship as we experience it on any given Sunday. Its going to be a great experience. GF: Any words you would share with up and coming musicians? BMJ: I’m glad you asked. 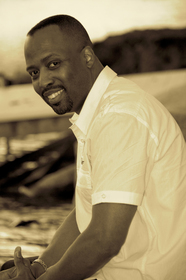 I founded the Moss Academy of Music in the year 2000 to provide music instruction to young people in the community. We offer instruction in piano, voice, organ, drums and guitar, I am pleased to say that we have done well going on 16 years now, it gives me an opportunity to not allow my gift to die with me and to prepare future generations of musicians. I always tell the musicians coming up to be wise, work in the area where you have been planted, be a part of the church where you give service, and don’t let everything be about making top dollar. It seems the trend of thought among young musicians is “I gotta get paid because I have a gift and a little skill”, but a great number of them lack any real depth, they can’t read music and don’t know the hymns of the church, can’t follow the preacher, etc. Take the time to perfect your craft. Go to school, learn the ministry that you are a part of, I always tell musicians, its alright to crawl before you walk, but you need to be humble. Make God your focus. I have been blessed to be a part of some great ministries and have both seen and experiened great growth. The Bible is right, your gift will make room for you, but you have to allow yourself to be molded and shaped for the Master’s use. After a 14 year absence from the recording scene, the International Music Department of the Church of God in Christ returns with The St. Louis Experience Watch Me Praise Him, recorded live at the International Holy Convocation in St. Louis, Missouri. This also marks the first project released under the leadership of the IMD President, Dr. Judith Christie McAllister. The COGIC International Mass Choir was a mainstay on the gospel charts under the late Dr. Mattie Moss Clark delivering choir music for the church for over 25 years. The last recording, He’ll Bring You Out was recorded in Detroit and stayed on the Billboard Charts for over 40 weeks. The new project features music from the church’s finest singers and songwriters including Judy McAllister, Kim Burrell, Bishop Darryl Hines, Joyce Rodgers, Bishop P. A. Brooks and an exhortation from Presiding Bishop Charles Blake. 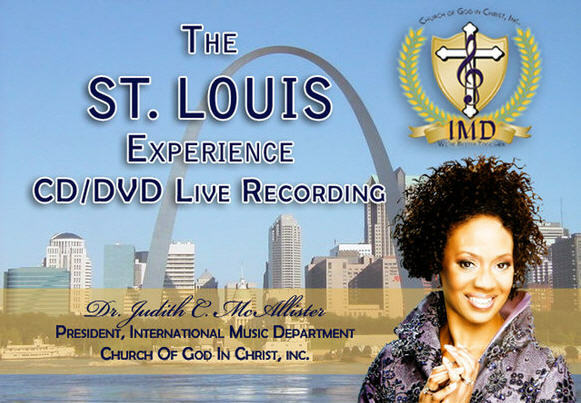 Dr. Judith Christie McAllister, President of the International Music Department of the Church of God in Christ announced (via the COGIC website) news of the COGIC International Mass Choir’s return to the recording scene after a fifteen year absence. 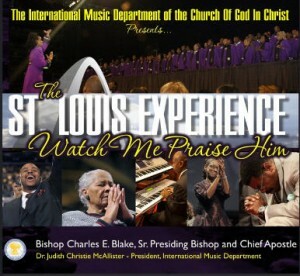 A live recording and DVD taping will take place in November during the Church’s annual Holy Convocation, which moves to St Louis after being held in Memphis, Tennessee for over 100 years. The Church of God in Christ was a preeminent force in gospel music for over 25 years. Under the leadership of the late Dr. Mattie Moss Clark, the “A Song is Born” series featured original compositions of COGIC writers, producing such hits as I Can Do All Things, Hallelujah, Forgiven, What a Friend and others. Their last CD, He’ll Bring You Out (featuring appearances from Karen Clark Sheard, Dorinda Clark Cole, the late Olanda Draper, Bishop Richard “Mr Clean” White, Queenie Lenox and the late Bishop Walter Hawkins), peaked at number 16 on the Billboard Gospel Chart and stayed on the charts for more than 35 weeks.